We first heard word of this brand new DLC for New Super Mario Bros. 2 as Nintendo of Japan held a small Nintendo Direct conference. Then, it was revealed that three DLC packs will release, each containing three Coin Rush levels and selling for 200 Yen. Now, North Americans are set to get the same packs below a $2.50 price point. Here, per the press release you can read in full below, are the three Coin Rush packs launching as DLC on October 4th. Exactly how to access these packs is a little odd. I'll point you towards the press release once more for that bit. These packs can be purchased with the following procedures: Players who are connected to a wireless Internet connection must first activate SpotPass in the game and receive a notification from New Super Mario Bros. 2. * After receiving the notification, the next time the player enters Coin Rush Mode**, a Shop icon will appear in the game. Players who have accessed the shop can then read information about the packs, including descriptions, difficulty ratings and the required storage space. As long as players have enough funds in their Nintendo eShop balance, they can then tap and purchase the packs they want all within the game. More packs are coming. The presser itself points towards two more to release at the end of October and the beginning of November. New Super Mario Bros. 2 was a short game, relatively speaking. Will these new packs earn your bucks and extend your play? 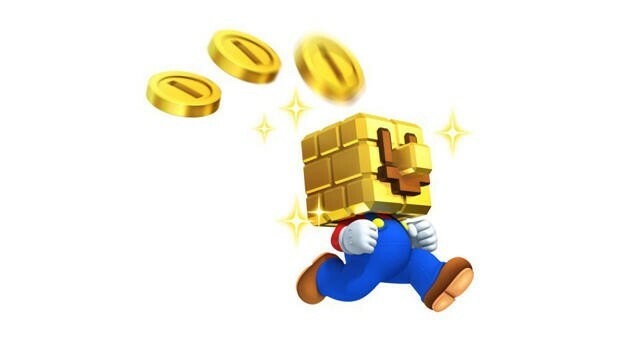 REDMOND, Wash.–(BUSINESS WIRE)– Players worldwide have collected more than 100 billion gold coins in New Super Mario Bros. 2 for the Nintendo 3DS portable system. That tally is set to skyrocket exponentially as Nintendo offers new Coin Rush Mode levels for the game. Several new downloadable add-on level packs will be made available to game owners, with the first three packs launching on Oct. 4. Each new pack contains three courses and can be purchased from within the game* at a price of $2.50 per pack. Subsequent packs will be on the way, with the next arrivals at the end of October and the end of November. While normal Coin Rush Mode offers players three levels chosen at random, the ones in the add-on pack are the same three in the same order every time. That gives players the ability to test themselves against one another on an even playing field. "Nintendo fans have really enjoyed the fun and competition of Coin Rush Mode, recently surpassing more than 100 billion total coins collected worldwide," said Scott Moffitt, Nintendo of America's executive vice president of Sales & Marketing. "These new packs offer completely new levels that fit into the New Super Mario Bros. 2 world, but offer new challenges that will keep players coming back for more." For more information about New Super Mario Bros. 2, visit http://newsupermariobros2.nintendo.com. Remember that Nintendo 3DS features parental controls that let adults manage the content their children can access. For more information about this and other features, visithttp://www.nintendo.com/3ds. *Players who have not played New Super Mario Bros. 2 for a while might not receive the notification instantly. In that case, players are advised to activate the game software and confirm the SpotPass setting from the options in the top menu. **Coin Rush Mode can be unlocked after clearing the castle in World 1. About Nintendo: The worldwide pioneer in the creation of interactive entertainment, Nintendo Co., Ltd., of Kyoto, Japan, manufactures and markets hardware and software for its Wii™home console, Nintendo 3DS™ and Nintendo DS™ family of portable systems. Since 1983, when it launched the Nintendo Entertainment System™, Nintendo has sold more than 3.9 billion video games and more than 630 million hardware units globally, including the current-generation Wii, Nintendo 3DS, Nintendo DS, Nintendo DSi™ and Nintendo DSi XL™, as well as the Game Boy™, Game Boy Advance, Super NES™, Nintendo 64™ and Nintendo GameCube™ systems. It has also created industry icons that have become well-known, household names such as Mario™, Donkey Kong™, Metroid™, Zelda™ and Pokémon™. A wholly owned subsidiary, Nintendo of America Inc., based in Redmond, Wash., serves as headquarters for Nintendo's operations in the Western Hemisphere. For more information about Nintendo, please visit the company's website at http://www.nintendo.com.